Cuba is the ecological crown jewel of the Caribbean. It harbors thousands of the region’s endemic species and about half of its coastal ecosystems. It is rare to find comparable ecosystems or such rich biodiversity anywhere in the Caribbean, and perhaps in the Western Hemisphere. Cuba also is inextricably linked to its neighbor countries, especially the United States. These two nations have been adversaries for over 60 years, but their common backyard is an ocean filled with limited shared resources. Since December 2014, when then-President Barack Obama ordered the restoration of diplomatic relations with Cuba, both governments have taken steps to improve cooperation. They include agreements to work together to protect some of the Caribbean’s most important coral reefs and marine sanctuaries. Now, however, the Trump administration reportedly is planning to slow or halt at least some U.S. engagement with Cuba. I am a Cuban marine biologist and have had the opportunity to be part of U.S. academia and facilitate scientific partnerships between the two countries. Scientists on both sides are very interested in working together, and I believe that we owe it to nature and people on both sides to keep this door open. Cuban waters provide vital spawning and nursery grounds for snapper, grouper and other marine species that are commercially important in the United States. Cuba is also a major stopover point on migration routes for many North America birds. When I tagged and tracked longfin mako sharks with colleagues from Florida, we found that they ranged into territorial waters around Cuba, the United States, the Bahamas and Mexico – showing clearly just how connected our waters are. Other scientists have reported similar results for species including manatees, sea turtles and fish larvae. Since the U.S. government relaxed restrictions on American travel to Cuba in 2015, Cuba has experienced an explosion in international tourism, which is projected to continue. Expanding tourism and related development, combined with longstanding poor management of reefs and fisheries and economic scarcity, could have major impacts on the waters that link our countries. Although Cuba’s coastal habitats are in fairly good condition, its fish populations are heavily exploited and threatened by commercial and private subsistence fisheries. Over 80 percent of its fishery resources are in critical condition. In many coastal communities, for example, small private fishermen depend on fish for subsistence and also supplement their incomes by selling fish on the black market. Pressures on targeted species such as tarpon and bonefish are believed to be substantial, but currently no data are available to quantify the extent and magnitude of impacts on fish populations or ecosystems. Cuban agriculture does not presently rely on extensive use of synthetic fertilizers, pesticides or other agricultural chemicals. This means that pollution and eutrophication (overfertilization, which produces large blooms of algae and “dead zones”) may not be major threats to its fisheries and marine ecosystems. Nonetheless, isolated and significant pollution sources, such as food processing industries and oil refineries, affect many important bays and harbors around the island. Their impacts on marine ecosystems currently are not well-understood or well-documented. 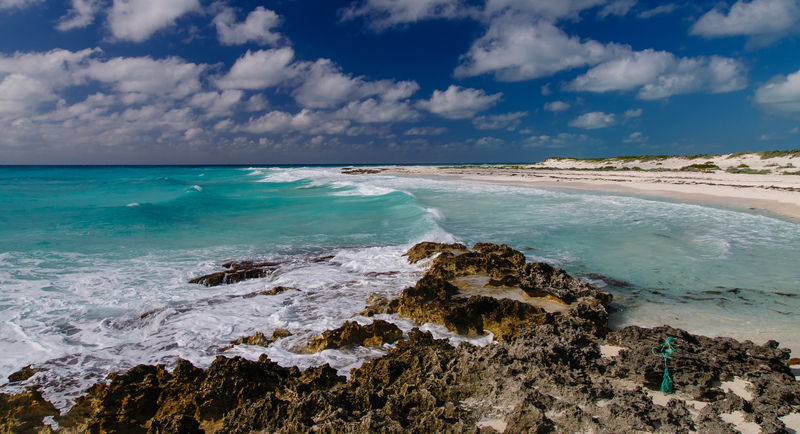 Cuba has established 108 marine protected areas that provide some level of protection to nearly 23 percent of the shallow waters around the island. However, many of them are at risk due to funding shortages, lack of trained staff, poor enforcement and inefficient management. In 2015 the United States and Cuba agreed to create partnerships between sanctuaries in the two countries, so that we can share data and ideas for conserving these sites. Fishing trawler in Cienfuegos, Cuba. Our common ocean is an essential resource for the United States and Cuba, and any action (or inaction) by one country will significantly impact the other. Scientific collaboration to protect marine resources will benefit both nations. Cooperation between scientific organizations in Cuba and the United States dates back to the 19th century, and has helped to maintain dialogue even during the most difficult phases of U.S.-Cuban relations. Cuban and American scientists have worked together to address sensitive environmental issues such as shark conservation, conduct state-of-the-art research and train Cubans to do research and conservation. At times, however, bureaucratic hurdles and misunderstandings on both sides have arisen, and government decisions or indecision have blocked good projects and ideas, such as importing and exporting equipment, organizing research expeditions and field courses, and collecting and exporting samples. Cubans are facing very difficult economic times, and many are struggling to feed their families. In such circumstances they are unlikely to see environmental protection as a high priority. Cuba is at a crucial decision point, choosing between an environmentally friendly development path like Costa Rica’s or a destructive Cancun-style model. Joint Cuban-American scientific ventures should reach out to the public in both countries with a strong message about preserving our shared ocean resources. They should also invest in communities to change environmental perceptions and attitudes. We need to create effective incentives, increase exchanges of people and ideas, and improve communication about these issues. Academia has a key role to play in this effort. U.S. colleges and universities should explore models that offer more opportunities to Cuban scientists, and Cuban schools should do the same. U.S. schools are already increasing their presence in Cuba through field courses that allow students to experience Cuban realities. Other U.S. organizations such as the Environmental Defense Fund have also expanded ties with Cuban institutions and people. Unfortunately, this process is working in only one direction. It is much more difficult for Cubans to visit the United States, thanks to restrictions on both sides. We need opportunities for groups of Cuban students to come to the United States for field courses and other academic programs. Cubans and Americans have more in common than anyone may think. Our nations are united by nature, history and cultural links that have overcome politics. The timing is right for scientists on both sides to make a strong case in favor of normalization over confrontation, and a better future for both countries.